Acupuncture and IVF outcomes? Dose matters. This article is a response to recently published research (Journal of American Medical Association 2018) on outcomes for IVF patients having acupuncture. 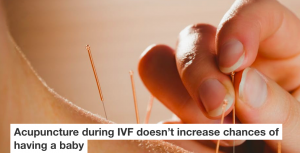 One of our practitioners (Amy Forth) discusses this study by personnel working at Western Sydney University and various IVF clinics in Australia and New Zealand into the effectiveness of acupuncture in relation to IVF success. The trial, which recruited 800 IVF patients in many different IVF clinics, created an international media response; most articles had titles like this one (from The Conversation). “Acupuncture during IVF doesn’t increase chances of having a baby” which is quite misleading. We would like to point out that the results of this study do not reflect clinical results, and contradict some of the other IVF and acupuncture studies published in recent years. What this recent study shows us is, importantly, that DOSE matters! 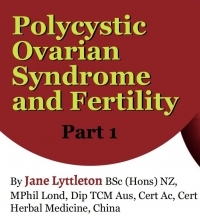 Polycystic Ovarian Syndrome is a label being given to more and more young women. Gynecologists are not yet sure what the cause of this disorder is, but its increasing prevalence is making us wonder if its something we are doing in our modern lifestyles. 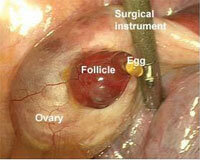 Part one of this article looks at all the things that contribute to or influence PCOS. Part Two (following) looks at all the treatment options. 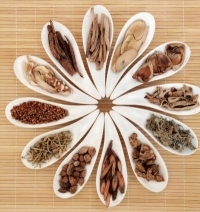 Treatment for PCOS is limited but researchers are actively seeking mechanisms whereby Chinese medicine can contribute. The second edition of a series of 3 texts by Will Maclean and Jane Lyttleton, are now all updated and in one cover. Some call this the Bible or the Merck Manual of internal Chinese medicine. 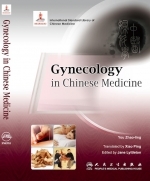 A series of formulations (distributed in the States) based on classical Chinese herbal scripts for couples trying to conceive and other gyneacological concerns, modified to incorporate modern research findings. 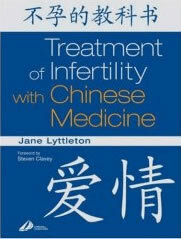 Chapter 41 describes the role of Traditional Chinese Medicine and the benefits it confers on the patient undergoing IVF By Prof Sheryl Lacy and Assoc Prof Caroline Smith. This text on assisted reproduction technology includes a chapter on the benefits of acupuncture as an integral part of the IVF cycle.